When you think of marketing on social media, what comes to mind? You may have set up a business profile on all the major social channels, periodically post to those pages and respond to comments from your devoted followers. At a minimum, these actions are necessary to establish a presence on popular networks such as Facebook, Instagram and LinkedIn. However, did you know that you can use these platforms to run targeted advertising campaigns that can reach your ideal audience and generate leads? 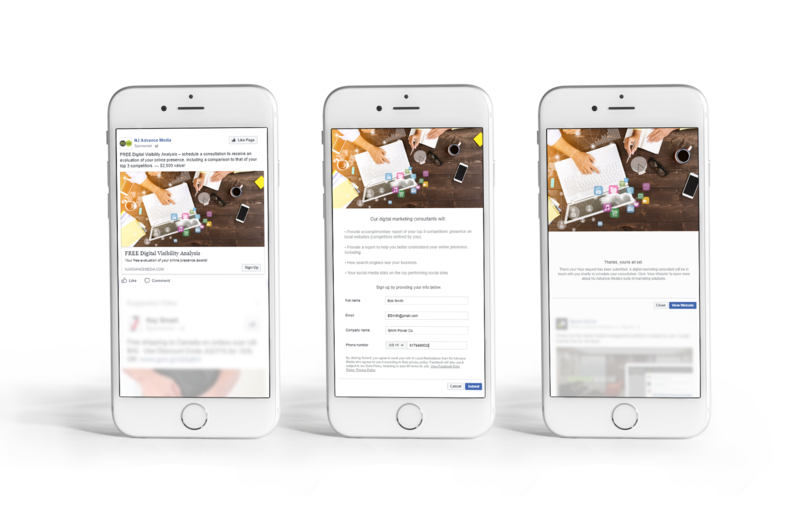 With over 2.07 billion monthly active users on Facebook alone , paid campaigns on social media platforms can act as a powerful addition to your marketing plan. Social media ads give you reach beyond those who have simply liked your page, allowing you to target custom audiences. You can reach individuals within a specified geography, those who identify with certain demographics such as age or household income, or those who have expressed interest in topics, liked specific pages and have displayed certain behaviors on and offline from purchases, warranty cards, etc. These campaigns can be tailored to achieve different objectives such as increase brand awareness, generate leads, drive traffic to your website, or even increase foot traffic in your store. Lead generation ads, more commonly referred to as Lead Ads, are a type of campaign designed to collect a prospect’s information directly through the social platform, rather than re-directing that person to an external website where they may drop off because of slow page loads or landing pages not setup to convert. Lead ads are highly customizable and make it easy for a user to provide his or her information. To start, the social platform will pre-populate basic information associated with the user’s social account, such as name, email address, phone number and anything else provided when setting up the account. Benefit from the ability to further customize the contact form to gather greater insight about your prospect or even allow users to find your closest location and schedule an appointment directly through the ad (now available on Facebook). The form: Are you looking for a higher number of completed form fills or leads that are more qualified? Consider your goal for the program when setting up the ad. Your audience is more likely to complete the form if you ask fewer questions, but what information is necessary for successful lead follow-up? These are incentives that are designed to stimulate interest, offer value to your audience, and create a sense of urgency. “Remember, you’re asking for something of value from the user (phone number, etc. ), you’ll want to provide them with something of value in exchange”, says Porosky. The offer should meet a specific need of your audience. The best conversion rates on leads obtained through your Lead Ads campaign are achieved within 5 minutes of the lead being submitted. These leads are warm leads — although the prospect has expressed an interest, they may not have been actively searching for your product or service when they responded to your ad. The longer you wait to follow-up, the less likely your prospect will remember you. Consider your barriers for achieving a faster follow-up on your leads. What is your capacity to pull the leads report manually from the social platform several times per day? Are you able to get on the phone to call all new leads within a few minutes? How will you prioritize these leads versus those generated through other channels, such as your website? As you debate whether to experiment with lead ads, you may consider teaming with a partner who can help your campaign exceed expectations. A great partner has the expertise to help set-up your program and optimize for the best results throughout the lifetime of the campaign. There is technology available that can combine data available in the social platform with additional premium data to allow more granular targeting for your campaigns. You should also consider someone who can stream-line the delivery of these leads – even delivering them in real time as they are submitted, right to your inbox or directly into your CRM. As you prepare your marketing plan for 2018, make sure to consider the power of social media marketing. 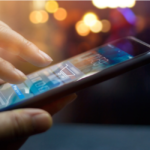 Excluding a paid program on channels such as Facebook, Instagram, and LinkedIn could mean a failure to reach some of your most valuable audience. If you are not sure where to start, NJ Advance Media has a team of dedicated social media strategists who are ready to work with you. Contact us today.